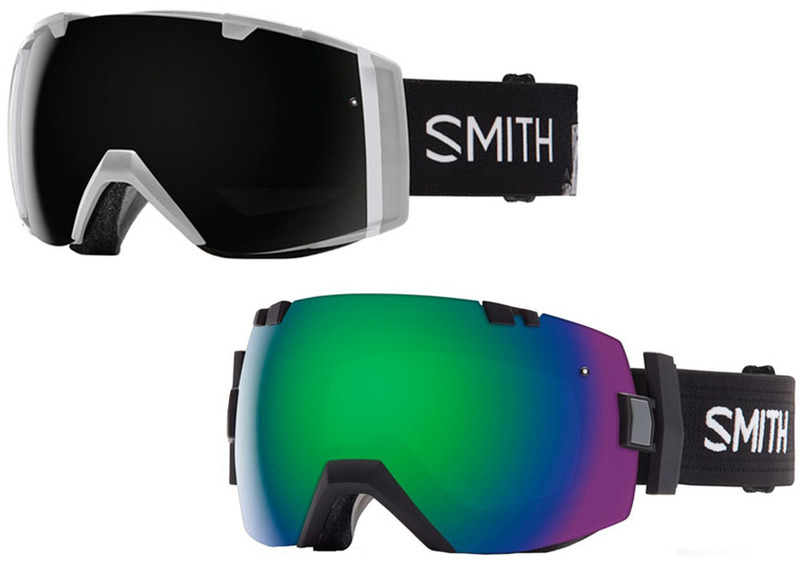 Smith IO and Smith IOX are two ski goggles that are equipped with the quick-release lens change system and designed to be compatible with most helmets. Smith IO is known for the sleek, compact design. It is sporty and comfortable. However, the field of view is rather limited, as the sides of the lens are blocked by the frame. On the other hand, Smith IOX is a slightly larger model with more open sides. See the detailed comparisons between Smith IO vs IOX below! There are many similarities and minor differences between these two goggles if we compare their frames. They are similar that they both have the patented Vaporator Technology with Porex Filter to enhance the breathability and comfort. This technology allows the user’s sweat to evaporate away instead of getting trapped under the goggle, and it also allows a good degree of air circulation. Smith IOX is essentially a slightly larger version of Smith IO. There is a subtle yet very beneficial improvement on the sides of the lens. Unlike Smith IO that has the sides fully covered by the frame, Smith IOX’s frame attaches to the lens only on specific points. Besides allowing a greater field of view, such design also looks more stylish and elegant. The next difference that sets the two models apart is Smith IOX’s floating foam membrane. Smith IO does not have this feature. The floating foam membrane on Smith IOX is designed to reduce pressure in the temple area. This is to counterbalance the larger volume of the goggle. Each of the two models is equipped with a wide silicone band to keep the goggle in place with or without a helmet. The silicone band allows a good fit without creating too much pressure. It is neat and comfortable. The most important difference between Smith IO vs IOX is the field of view. If you are looking for an expansive field of view with decent peripheral vision, you should consider getting the larger Smith IOX. Smith IO has a narrow field of view. It does not really let you see your left and right sides without turning your head. The vertical field of view is also limited. This goggle tends to be worn at the lower part of the nose, so it won’t really let you see higher up. The hottest topic when people compare Smith IO and Smith IOX is the horizontal field of view. As mentioned above, Smith IOX does not block the entire sides of the lens. Also, note that the lens of Smith IOX is indeed wider. As a result, it can give you a wider field of view. You can have great peripheral vision to see your left and right sides properly. Smith IOX’s lens is also taller, which means that it can give more vertical view, too. Between these two models, we recommend you to choose Smith IOX. It has a much better design to give you more peripheral vision, both in the vertical and horizontal directions. Smith IO is very narrow, without much peripheral vision.